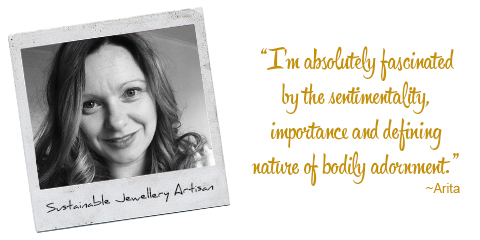 My name is Arita and I am a self representing jeweller and artist from Hobart, Tasmania. I live with my husband Marco, daughter Tilly (4) and our affectionate, lazy old cat, in a sweet weatherboard cottage in the mountains about 10 minutes out of the capital city. 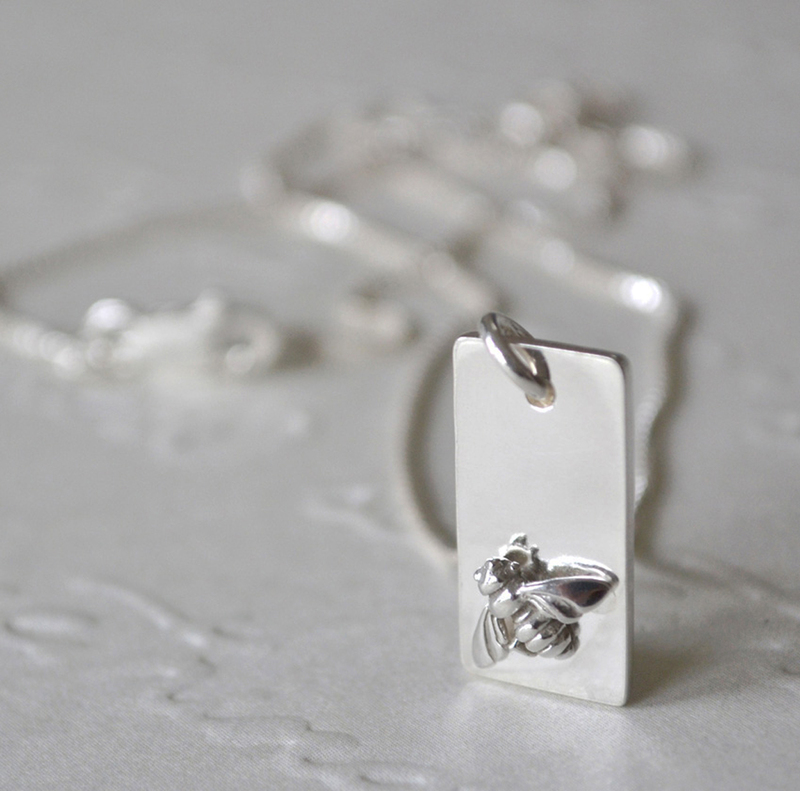 My arts practice spans jewellery and object creation for exhibition, limited edition production and commissions. 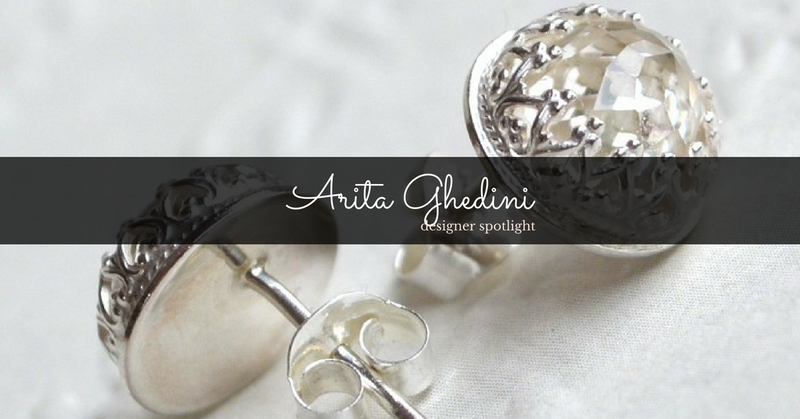 My Made It store operates under my own name, Arita Ghedini and I have been selling on Made It for approximately 6 years with timeless, classic and elegant pieces. I work with solid precious metals, mainly sterling silver, incorporating the most beautiful quality freshwater pearls and gemstones. 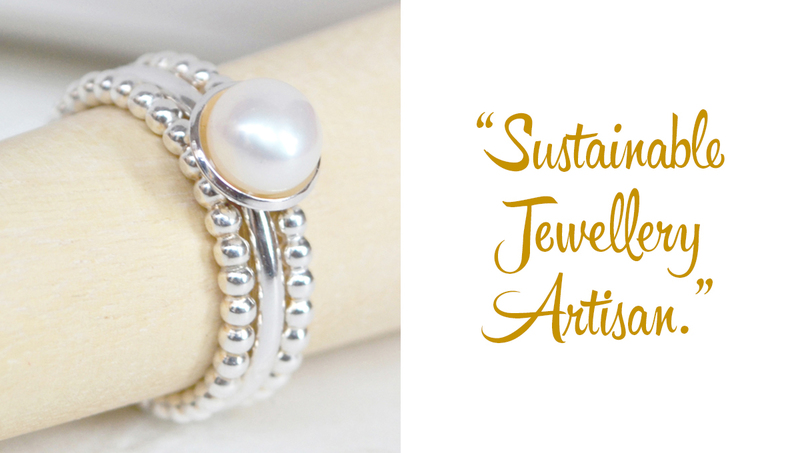 Environmental consciousness and sustainable practices are very important to meand as such, I only work with recycled metals sourced from a reputable Australian company. I'm also very conscious of using gemstones from traceable, ethical sources. I work from my own home studio, which is located downstairs under the main house. 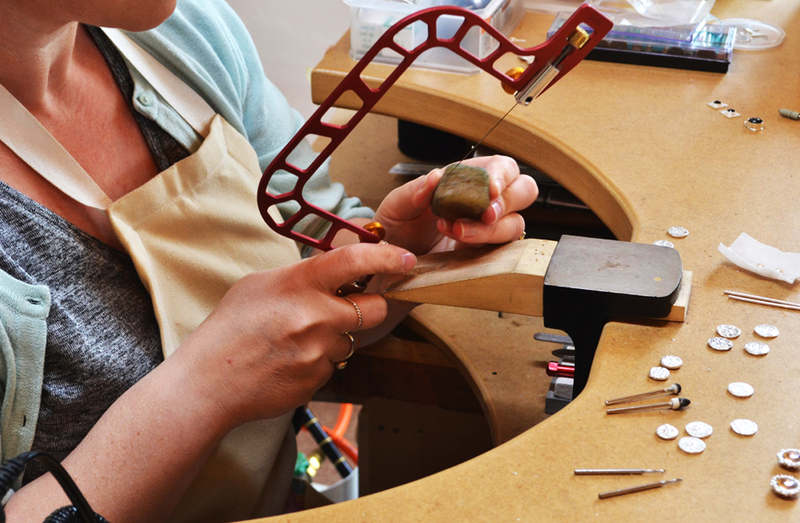 The space has been purposefully fitted out to accommodate my jeweller’s bench and the many tools of the trade. 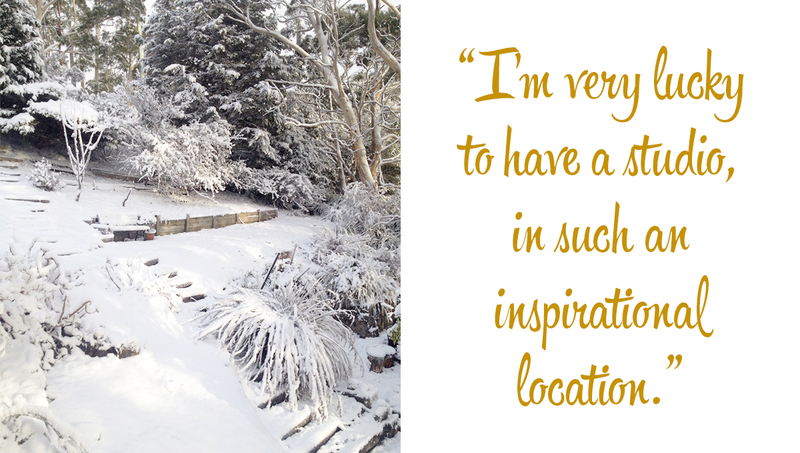 I'm very lucky to have a studio, in such an inspirational location. As I look out the windows I'm surrounded by vast bushland, native animals and birds and in winter, snow. 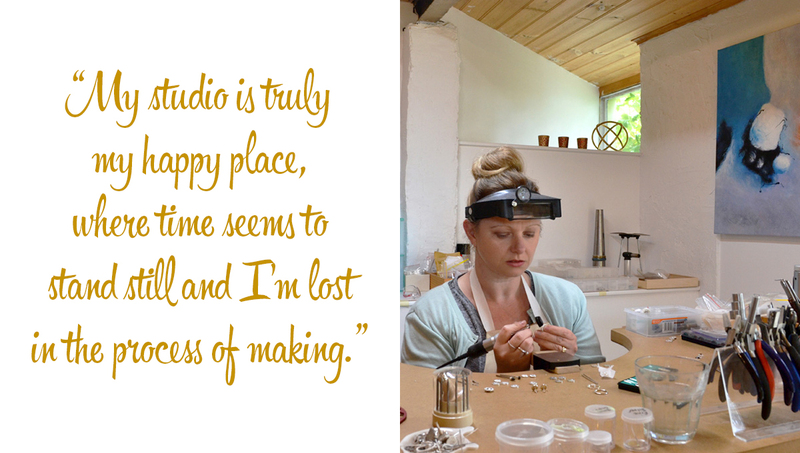 It is truly my happy place, where time seems to stand still and I'm lost in the process of making. My work is largely informed by nature and influenced by art history, fashion movements and travel. 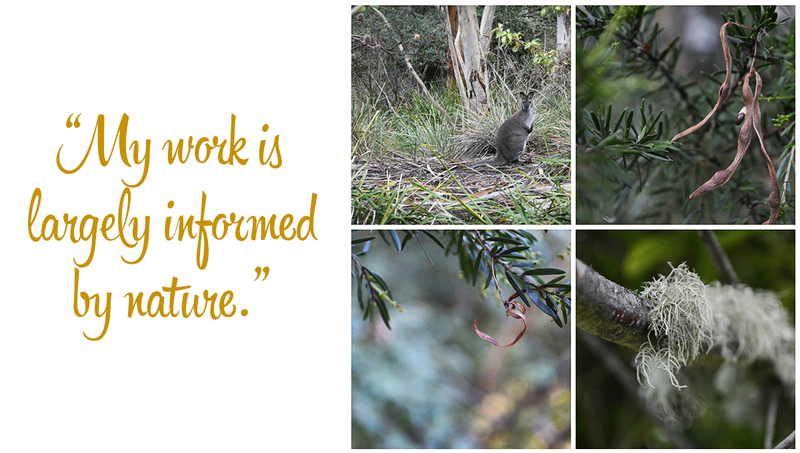 When I’m not jewellery-making, some of my hobbies include; photography, drawing, bushwalking, reading, op-shopping and travel (time and finances permitting). I'm also quite partial to a well-made coffee, and chocolate! My creative process always starts with sketches, then mock-ups/prototypes and experiments. I'm quite methodical in my practice. I keep journals and visual diaries for reference and inspiration. 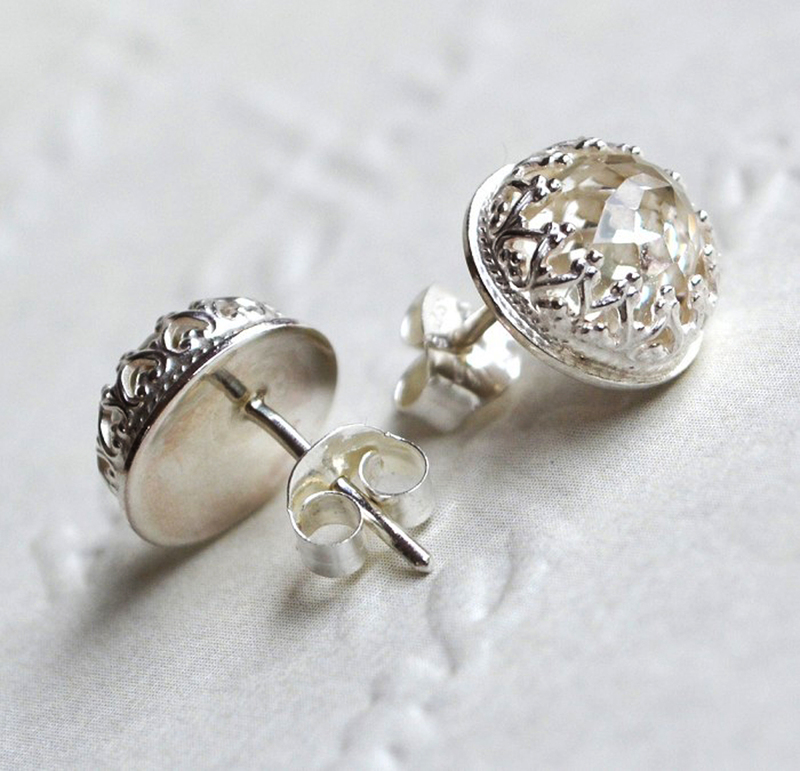 I'm absolutely fascinated by the sentimentality, importance and defining nature of bodily adornment. 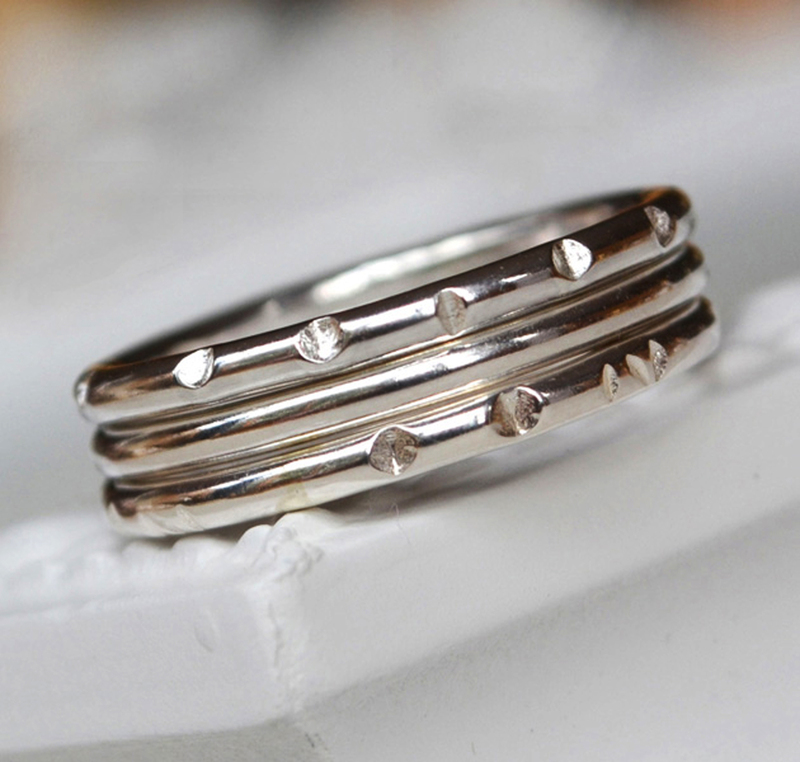 I feel incredibly satisfied when a jewellery piece I've created is cherished, cared for and worn daily. I'm currently in the process of developing a new and very unique range created in response to our human desire to preserve precious moments. I can't wait to reveal this new collection to the MadeIt community... stay tuned! 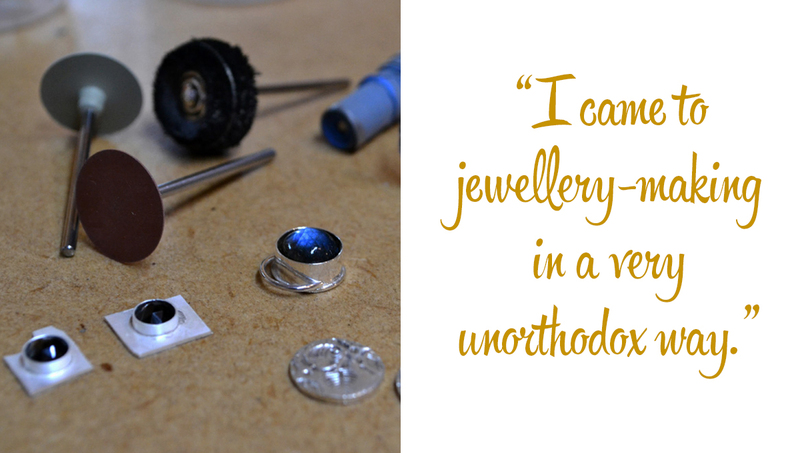 I came to jewellery-making in a very unorthodox way. On leaving college I initially completed a Bachelor of Fine Arts (UTAS) however my adventurous spirit saw me pursue a career in the Emergency Services, as a Paramedic. During the course of my Ambulance career a number of defining events; some emotionally taxing jobs at work and the coinciding death of my Oma (whom I was very close to), saw me begin to dabble in the arts again. Some beads, wire, a crème brulee torch (to teach myself soldering) and suddenly a new jewellery making hobby and much needed distraction was born. Over the course of a number of years, with the help of books, tutorials and experimentation, I taught myself basic metal-smithing techniques. Some short courses through adult education, to improve and develop my skills and knowledge, followed. I then felt ready to begin to market my creations and used the Made It platform to introduce my work to the public. It was well received and as my hobby began to grow I reduced my hours at Ambulance to part-time to allow greater focus on my business. 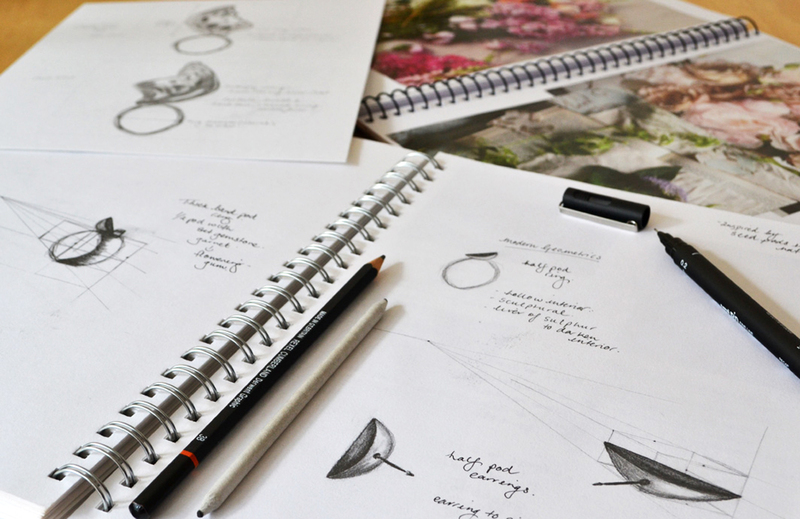 As the years passed my enthusiasm for making jewellery and objects grew as did my desire to dedicate the majority of my time to my arts practice. I was graciously given extended leave from my job as a Paramedic to formalise my jewellery/arts education, with the completion of a Diploma in Visual Arts, Jewellery. The course was a huge turning point in my learning and the progression of my business. Today my arts practice is my full-time occupation and I need to pinch myself everyday that I get to call my passion my career. 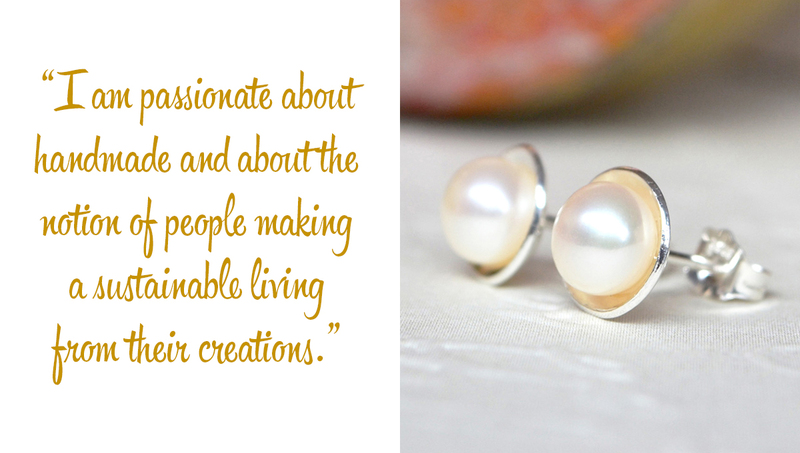 I am passionate about handmade and about the notion of people making a sustainable living from their creations. At any given opportunity, I love to raise awareness of and educate against consumerism and mass production of poor quality items made under unethical conditions. In choosing to buy handmade and 'shop small' I enjoy knowing that an item has been made with love and care to the highest standard. In terms of my own making, I enjoy delivering a product to my clients that is truly unique and has been made with the utmost care and attention to detail. I also love adding that personal touch, be it gift wrapping, penning a personal note to a gift recipient or writing a note of thanks to my customers. It's the small details that really make handmade special. Made It holds a very special place in my heart, as it was the platform that helped launch and grow my business. The Made It community is really supportive and it's here I've made some lovely cyber friendships that I really value. I especially love that everything sold on the Made It site is created by hand, right here in Australia, by amazingly talented artisans doing incredible things.